We requested some help from our Facebook fans. Here are a few of the ideas they gave us! Our top pick comes from Marie. Keep it simple with a night out for some upscale dining. Cooks & Soldiers brings the cuisine and cultural experience of Spain’s Basque region to the flourishing West Midtown area. Treat your significant other to a meal they won’t soon forget! Thanks, Marie! Our next idea comes from Matt. The Tabernacle is one the most iconic concert venues in Atlanta, hosting top artists from around the globe, and the Skyview Ferris wheel offers a fantastic panoramic view of Downtown Atlanta and the surrounding metropolitan areas. Memories are waiting to be made! Thanks for the idea, Matt! 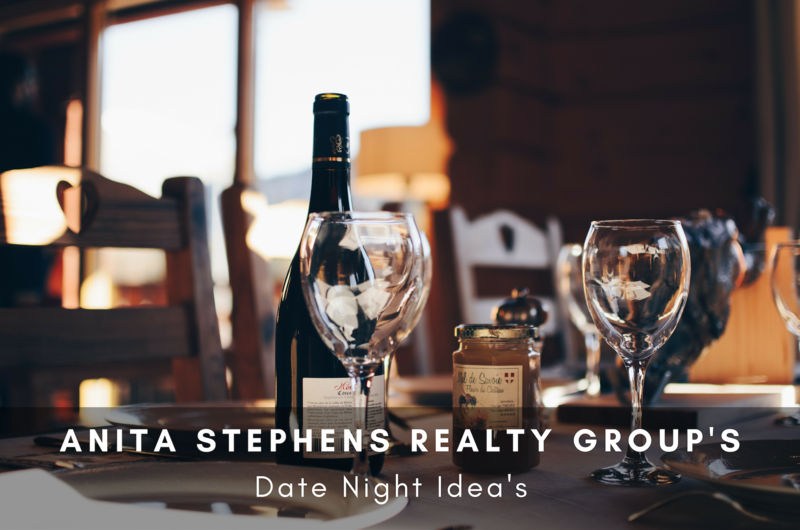 Our next date night idea comes from Tami. There are endless picnic spots, and GA Tech holds public events in their observatory for the viewing of various celestial bodies. Head down to the ATL after your meal, or you can keep it simple and lay a blanket down in your backyard under the stars. No matter which way you go, we give Tami’s star gazing idea a 10 out of 10! Date night number four comes from Adrianna. Anita Stephens Realty Group has had first-hand experience with Rico’s delicious food (we recommend the Red Rooster). Rico’s World Kitchen provides a unique symmetry of quality and service born from a creative passion for food with a timeless approach to hospitality. Treat your love to some delectable dishes in a light-hearted atmosphere. Rico’s does not disappoint! Thanks, Adrianna! Finally, our last date night idea comes from Bobby in New York. Bobby’s recommendation is to take your better half to a Yankees game. We can’t advise catching a flight to Yankee stadium game, but we have something better here in the ATL. If you and your mate are baseball fanatics (or even if you’re not), take a trip down to The Battery Atlanta and Suntrust Park for a night out. You can go Chop On the hometown Bravos once baseball season comes around, or grab dinner at one of the Battery’s endless restaurant options before seeing a concert at the Coca-Cola Roxy. Thanks for the idea, Bobby! Go Braves!